If you are looking for the best long range rifle scopes out there, chances are you have heard a lot of different answers. Long range rifles scopes vary immensely in terms of the quality and specifications. The trick is to look around and make sure you know what you want in a scope, as well as becoming familiar with the different options and what rifle scopes have to offer. It does not hurt to be informed about different specifications for scopes, such as magnification, reticle, objective lens size, field of view, and resolution. Long range rifle scopes are usually classified as those that are best used at two hundreds or more. Unlike scopes used for close range hunting, long range rifle scopes are going to have a higher magnification, a larger size of objective lens, and a smaller field of view. Most hunters opt for a long range scope that has variable magnification, meaning that the scope’s degree of magnification can be changed. You will also want to consider prices when you look at the best rifle scopes. Getting a higher price scope could certainly be worth the investment and pay off in the long run. 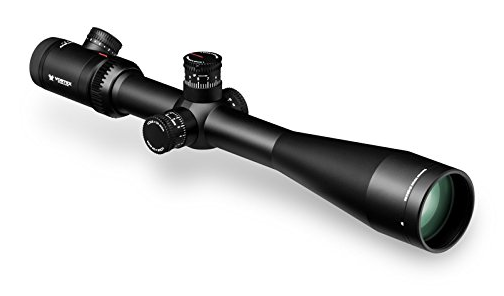 Here are some of the best long range rifle scopes on the market as featured on ProReviewly. 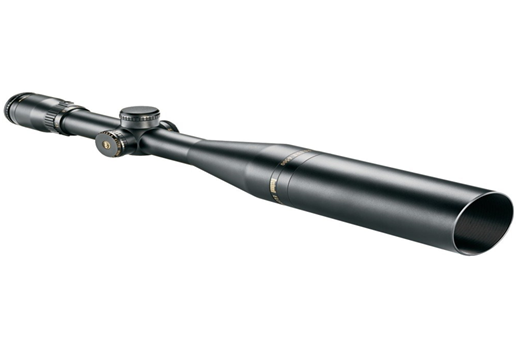 The Leupold VX-3 comes from one the top manufactures of rifle scopes. With a variable magnification of 6.5-20x and an objective lens of 50mm, it is sure to come in handy as a scope for longer ranges. The scope has a Fine Duplex reticle or cross hair. This means that besides the regular cross hair, the reticle has thicker lines that become narrow as they move into the center of the lens. The field of view is 14.3 feet with a tube diameter of 30 mm. The scope is fairly light at roughly fourteen inches and twenty ounces in weight. The Sightron SIII Long Range is an incredible rifle scope to use for long distances. 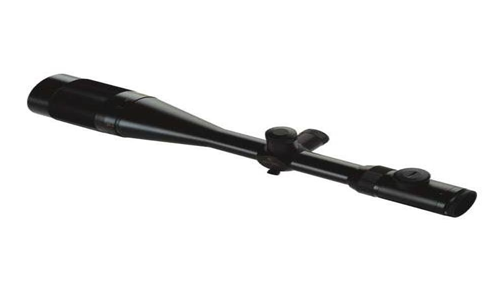 The scope’s variable magnification is 8 to 32x with an objective lens size of 56 mm. The objective bell of the scope is pretty long so keep that in mind when mounting it. The scope is adjusted for wind and elevation, and the range of both of those is 70. The reticle is MOA-2 which looks like a normal cross hairs but dashes on them for more accurate aiming. The tube diameter is 30 mm with a field of view around 12 feet. The scope weighs approximately twenty-five ounces with a length of about sixteen inches. The Nightforce NBR is a high-quality tube from Nightforce Precision Optics. This particular model has a magnification of 8 to 32 times larger than the naked eye, and the objective lens is 56 mm in size. 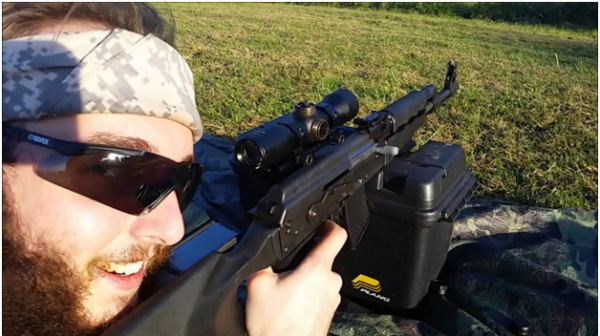 The reticle is NP-R2, which is widely different than normal cross hairs. Instead of looking like a large plus sign, this reticle looks more like a T in the center of the lens, and the lines do not extend all the way across the field of view. The scope has an internal adjustment range for wind and elevation of 50. The scope is 30 mm in diameter, weighs about thirty-six ounces with a length of about seventeen inches. The scope only has a mounting length of about five and a half inches. The Vortex Viper PST is a long range rifle scope from another leading manufacturer of high-quality optics. 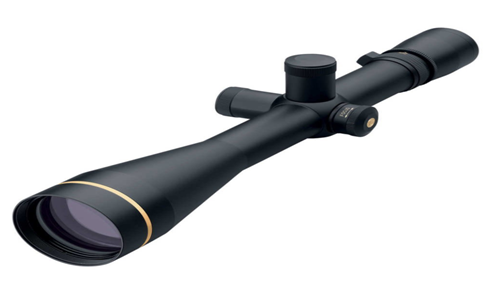 The scope has a magnification range of 6 to 24 times with an objective lens size of 50 mm. The reticle on this scope is an illuminated EBR-1. The EBR-1 looks like a normal cross hair with smaller dashes for more precise aiming. It also has thicker lines on the side and the bottom of the cross hair. The scope has a field of view around seventeen to five feet, and an eye relief of 4 mm. The scope has an internal adjustment range of 65 for elevation and wind. The scope is also 30 mm in diameter, is fifteen and a half inches long, and has a weight of twenty-three ounces. The Bushnell Elite 6500 comes from another high-quality manufacturer of sport optics. The company is an industry leader and has been for over sixty years. The Bushnell Elite has a magnification of 4.5 to 30x, and like many long range rifle scopes, has an objective lens size of 50 mm. The scope has a Mil-Dot reticle, meaning it looks like a typical cross hairs, except that the thicker lines narrow into thinner lines with dots overlaid for accuracy. The scope has a field of view of 21 by 3 feet and an eye relief of 4 mm. The internal adjustment range of wind and elevation is 50 and has a tube diameter of 30 mm. The scope weighs twenty-one ounces with a length of thirteen and a half inches.